I don’t usually celebrate Cinco de Mayo to the fullest. I mean, I think Mexico’s freedom is a wonderful thing, but Cinco de Mayo is a little like St. Patrick’s Day to me…It’s a good reason to have a parade, and I don’t really like parades. But, then again, both holidays are a good reason to eat and drink, and I can definitely get excited about that. 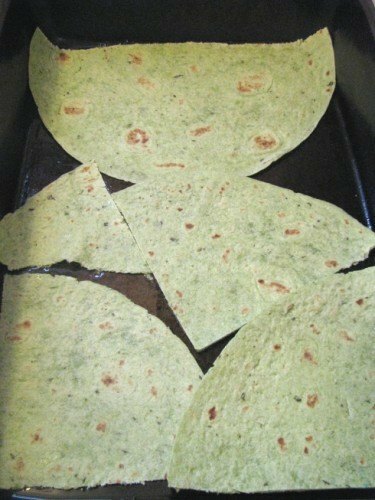 2 – She said to lay out the tortillas in halves or quarters. For the life of me, I couldn’t figure that out. I’m not a strong spatial thinker, and I was trying too hard to cover every inch of the pan. My bad. I’m getting ahead of myself. Before I got into the lasagna I made that taco sauce, which I based on One Particular Kitchen‘s recipe. Here’s my version. 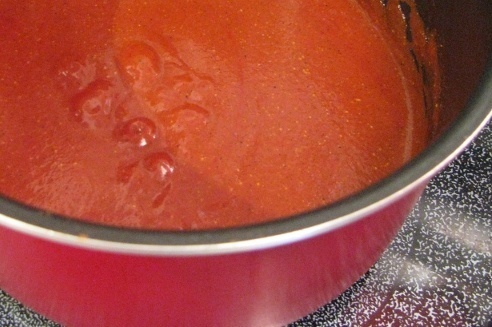 Instructions: Warm tomato sauce in medium sauce pan. Mince onion and garlic in food processor. Add onion mixture and all other ingredients to sauce. Simmer for 15-20 minutes. Taco sauce can be used over just about any Mexican dish, I think. With the Mexican lasagna I added a ladle full in every layer. Turned out great. Will definitely be making this one again. I would’ve posted a picture of the final product here–all bubbly right out of the oven. But I burned three of my fingers on the oven rack and was too ticked off to take out the camera again. Thank goodness for cerveza. ps – The Saucy Dipper Facebook group is about to be archived. Please join us on the new Facebook page. Thanks for the comment, you’ll have to let me know if you try out the shortcake cookies and if you like them! 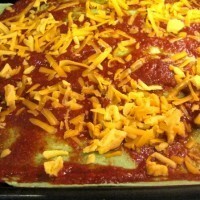 Love your blog btw and this recipe, I’m a HUGE mexican food fan. I could eat it every day, every meal. Glad to be your new follower! Thank YOU for the comment. Glad to follow you too! Rachel Ray and her 30 minutes are a joke. Maybe if everything we bought was already prepped? 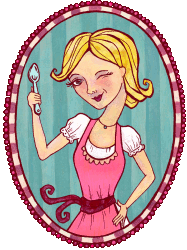 She’s just a step shy of Sandra Lee in my book for lacking real authenticity because of that series. I’m with you on the holidays…I don’t care for a big parade or lots of rabble rousing…but it is a good excuse for some great food. I have never made my own taco sauce either…wondering why not and now I have absolutely no excuse! The taco sauce looks so fresh and good! It would be great with some pasta. I have never made my own taco sauce…nice! I wouldn’t say that I really CELEBRATED other than making Mexican food for dinner…and i could always use an excuse for that! This sounds so delicious! I bet you could top it on so many things! My sentiments exactly on the holidays. My daughter celebrated Cinco de Mayo this year but she’s in college and they’ll gladly celebrate anyone’s independence. Of course, I’ll eat Mexican food for any reason. This looks really good. Oh man, I’m sorry about your fingers! I have to admit that I did smile when reading that though, just because I can identify. Sometimes it’s so hard to get a picture when your food is hot and you have to work fast. Love the idea of spicing up basic tomato sauce to make taco sauce. Yum!